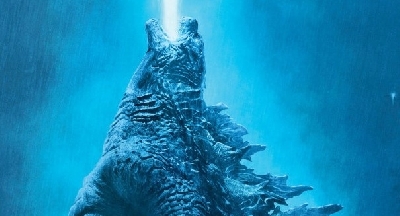 Godzilla: King of the Monsters 2019 film score track list revealed! LISTEN: Godzilla's original theme song returns in King of the Monsters! 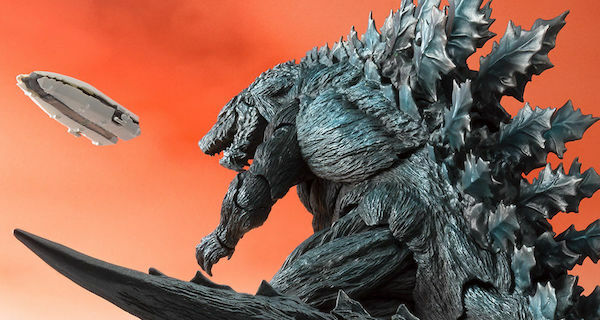 Lots of new Godzilla 2 KOTM images have been uploaded to our gallery! 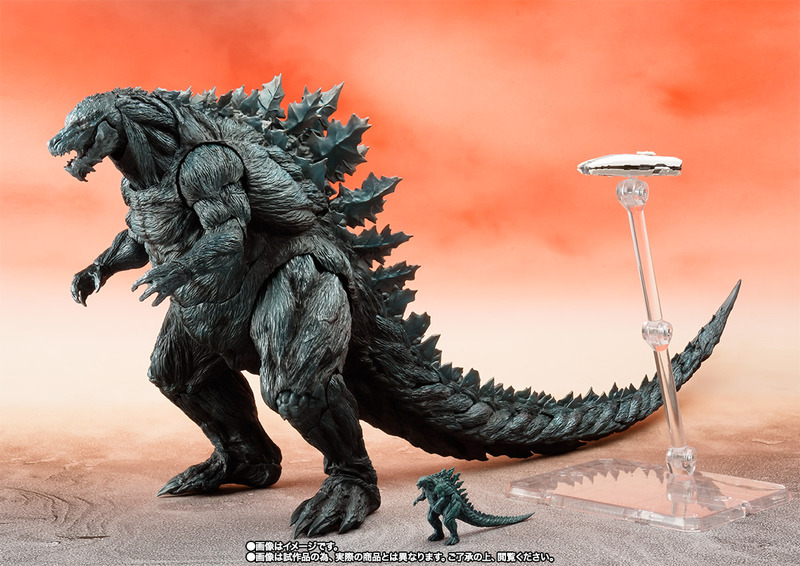 Godzilla: City on the Edge of Battle has finally hit Japanese theaters, and Tamashii Nations is wasting no time cashing in on the latest film. The repaint of Godzilla 2017 (aka, Godzilla Filius) from last year's Godzilla: Planet of the Monsters, depicts Godzilla Earth, who is the primary Godzilla in City on the Edge of Battle. The figure features his more pronounced "beard" and new accessories. At 11,880 YEN ($107 USD), the figure is a Bandai "Premium" Web exclusive. Pre-orders are now available on Bandai Japan. The figure will be released this October. Godzilla: City on the Edge of Battle stars the voice talents of Mamoru Miyano (Mobile Suit Gundam 00, Ultraman Zero: The Movie), Takahiro Sakurai (Mobile Suit Gundam: Iron-Blooded Orphans), Kana Hanazawa (.hack//Quantum), Yuki Kaji (Attack on Titan), Tomokazu Sugita (Attack on Titan), Junichi Suwabe (Space Dandy), Kenta Miyake (Mobile Suit Gundam Unicorn), Kenyu Horiuchi (Bleach, One Piece), Kazuhiro Yamaji (Final Fantasy VII: Advent Children), Kazuya Nakai (Dragon Ball Super) and Ari Ozawa (Monthly Girls' Nozaki-kun). The film is directed by Kobun Shizuno (Detective Conan: The Darkest Nightmare) & Hiroyuki Seshita (Knights of Sidonia) from a screenplay by Gen Urobuchi (Kamen Rider Gaim). The film is currently playing in Japanese theaters. The first film in the Godzilla anime trilogy, Godzilla: Planet of the Monsters is currently streaming on Netflix. If you are a fan of Godzilla and are looking for an exclusive online community to share your passion and engage with other die-hard Godzilla fans, look no further! Join in the Godzilla Movies forum - a dedicated community of Godzilla movie and Monsterverse fans! Godzilla 2: King of the Monsters is the sequel to Gareth Edwards' Godzilla (2014) and is being directed by Michael Dougherty. 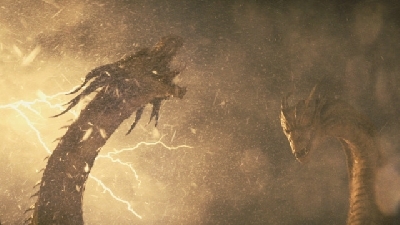 The film will introduce Rodan, Mothra, King Ghidorah and more monsters to the Warner Brothers / Legendary Monsterverse cinematic universe. 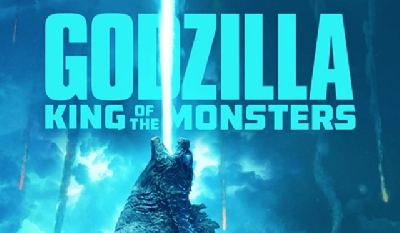 For information on Godzilla 2's cast, plot, release date and to download the film's official movie posters, please visit the Godzilla: King of the Monsters about page here! 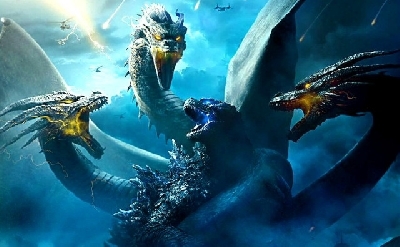 Godzilla vs. Kong (2020) is the sequel to Michael Dougherty's Godzilla 2: King of the Monsters and will be the fourth and final installment in the Monsterverse movie quadrilogy. 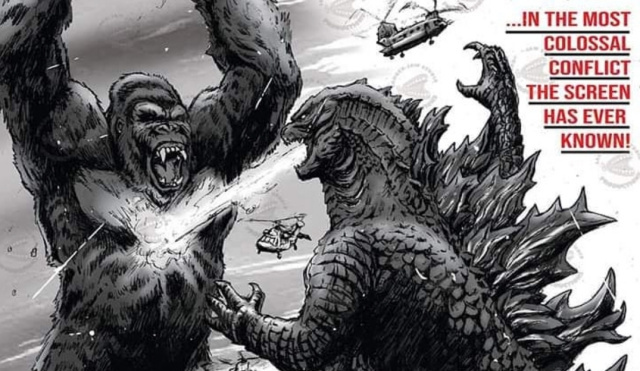 It will also bridge both the Godzilla movies and Kong: Skull Island by bringing Godzilla and Kong face-to-face for an epic match-up. To learn more about Godzilla vs. Kong, check out the Godzilla vs. Kong about page here! 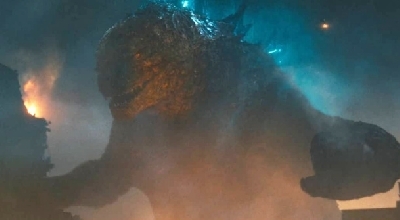 Stay up to date with the latest news on Godzilla 2 King of the Monsters and Godzilla vs. Kong (2020) by liking us on Facebook and by following us on Twitter and Instagram! 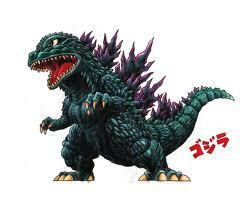 Also, consider subscribing your email to our Godzilla blog for instant notifications of when new posts are made! 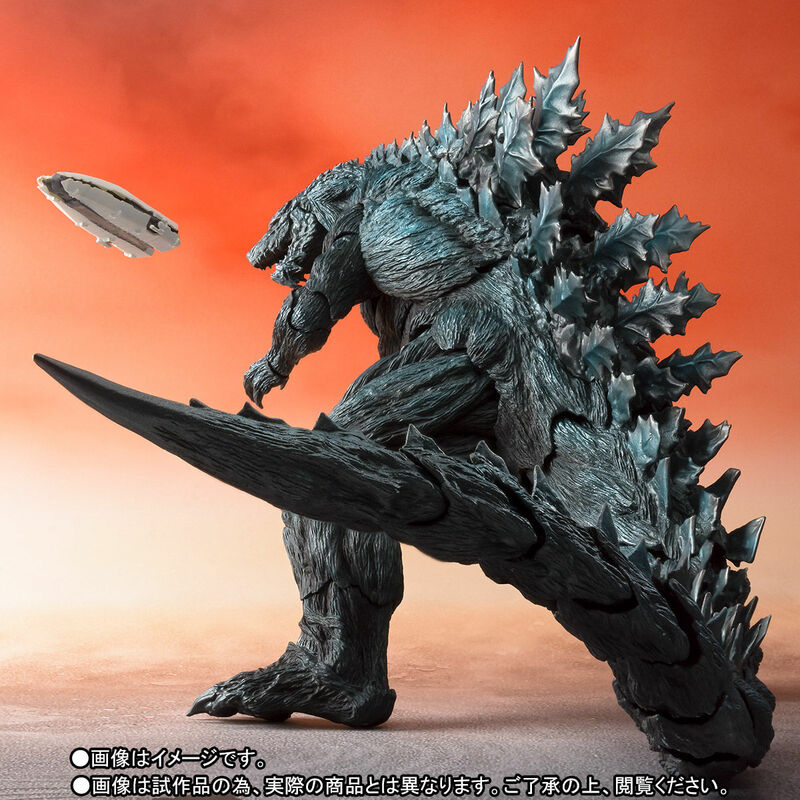 With the release of Godzilla: King of the Monsters and eventually Godzilla vs. Kong, now is a great time to represent Godzilla and expand your Godzilla memorabilia collection. Check out some products below and click here for even more options! Second image down, that tail pose. Just looks superb. Gotta save up for this figure now, too, lol. Assuming an SHMA 2018 Mechagodzilla isn't a thing. Is it just me, or did I have a deja vu moment a few months ago about this? Because I could've sworn I saw A DiegoDoom video about this guy. Probably for the old 2017 mold. These two are nearly identical bar a retooled jaw, hence deja vu. The fins are apparently also of a different mold. It's sort of hard to spot all the differences since Earth and Filius are so similar. Interesting point. I'll have to look and see if there was an official statement on it either way--I don't think it's ever been officially confirmed whether or not the 2017 figure was Filius or a younger Earth. I think I read somewhere that the 2017 was meant to be 50 meter Godzilla Earth, but I haven't found a source yet. 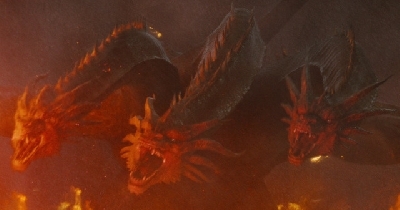 The reason I think it's the case is like KingKaijuGojira said, it has the chin spikes, which is a feature Filius never had. Either way, thanks for the conformation, guys. I honestly thought it was something my mind created, like an illusion or a hallucination or something like that. @G. H. (Gman) Are the fins different? They don't look much like Earth's broad, massive spines. Maybe I'm just nuts and it's hard to see, like you said. I did learn apparently there are also joint fixes too. Which is cool. Godzillatheking123 commented on LISTEN: Godzilla's original theme song returns in King of the Monsters! from the Godzilla Movies website! Godzillatheking123 commented on Godzilla: King of the Monsters 2019 film score track list revealed! from the Godzilla Movies website! 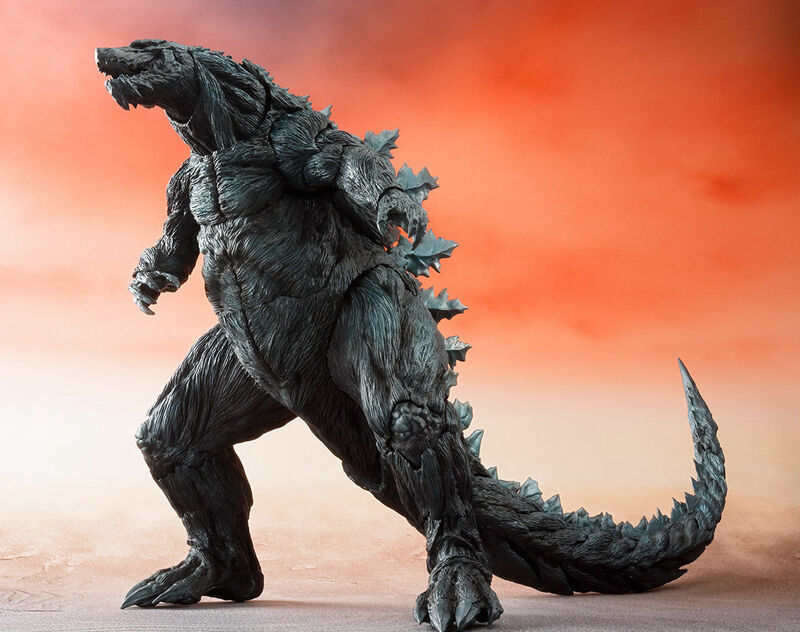 G. H. (Gman) commented on TOHO release their own new Godzilla 2: KOTM Trailers and TV Spots! from the Godzilla Movies website! 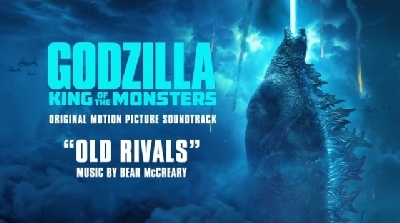 G. H. (Gman) commented on LISTEN: Godzilla's original theme song returns in King of the Monsters! from the Godzilla Movies website! Giga Bowser just joined Team Rodan! TheGMan123 commented on LISTEN: Godzilla's original theme song returns in King of the Monsters! from the Godzilla Movies website! 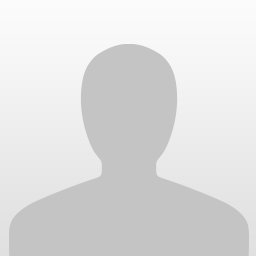 Godzilla-Movies.com is an information resource for fans looking to learn more about the upcoming blockbuster Godzilla: King of the Monsters. Providing the latest official and accurate information on Godzilla: King of the Monsters, this website contains links to every set video, viral video, commercial, trailer, poster, movie still and screenshot available. This site is an extension of the Godzilla Fandom on Scified - a central hub for fans of Godzilla looking to stay up-to-date on the latest news. Images used are property of their respective owners. Godzilla: King of the Monsters and its associated names, logos and images are property of and are in no way owned by Scified and its related entities. This is a fan-created website for the purpose of informing and exciting fans for Godzilla: King of the Monsters's release.